New Delhi, August 10: In a bid to strengthen the bilateral and diplomatic relations with Indonesia, New Delhi on Thursday approved MoU in two sectors including health cooperation and Scientific and Technological Cooperation. Notably, the two MoUs was approved by the cabinet chaired by PM Modi. 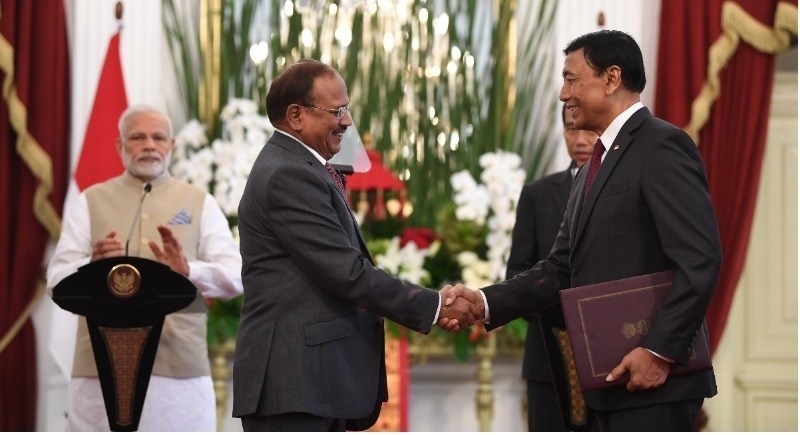 The MoU on Scientific and Technological Cooperation was signed by Minister for Science and Technology Dr Harsh Vardhan and his Indonesian counterpart Mohamad Nasir at New Delhi in May 2018. The objective of the MoU is to promote cooperation in the fields of science and technology between India and Indonesia on the basis of equality and mutual benefit. The stakeholders will include researchers from scientific organizations, academia, R&D laboratories and companies from India and Indonesia. Importantly, Information and Communication Technology, Marine Science & Technology, Life Sciences, Energy Research, Water Technologies, Disaster Management, Space Sciences, Technology and Applications, Geospatial Information and Applied Chemistry were identified as potential areas for immediate collaboration. The signing of MoU will open a new chapter in bilateral relations as both sides will now leverage complementary strengths spurred by a significant convergence of mutual interests in science and technology. While the MoU between India and Indonesia on health cooperation covers Research and development, active pharmaceutical ingredients (API) and IT-based medical equipment, Human Resource Development, Health Services.